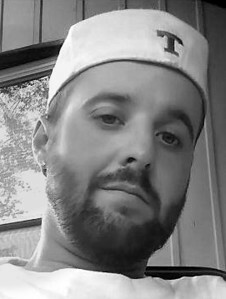 Justin Brian Duplin, 29, of Middletown, son of Brian T. Duplin of Plainville, and Raelynn (Hoyt) Nowak of Moodus, died Monday night. Born in Meriden, he attended Berlin Schools, and was employed at Power Washing King in Berlin. In addition to his parents, he is survived by his fiance, Angela Hofmann, a son and daughter, three sisters and a brother-in-law, Jennifer and Dan Carter of Silver Springs, Md., Nicole Nowak of Martins Creek, Penn., and Kimberly Nowak of Berlin, two nieces who he loved with all of his heart, Kayla and Olivia, and a nephew, Grayson Carter. Friends and relatives are invited to call at Porter’s Funeral Home, 111 Chamberlain Highway, Berlin, on Friday from 5-7 p.m. Services and burial will be at the convenience of the family. In lieu of flowers, donations may be made to The Roadway of Hope CT, Inc., P.O. Box 2304, Meriden, CT 06450. Posted in New Britain Herald, on Wednesday, 29 August 2018 20:42. Updated: Wednesday, 29 August 2018 20:44.